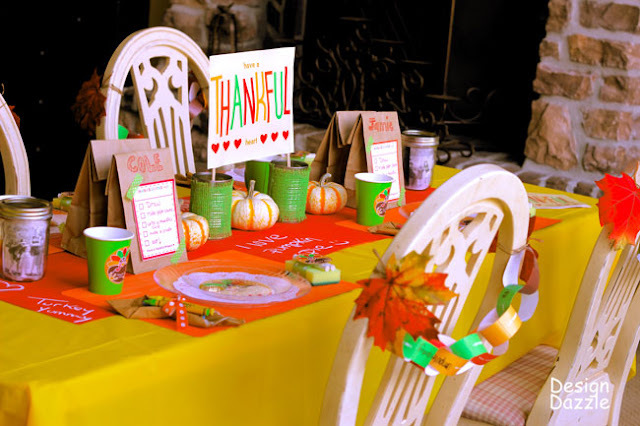 If you are still trying to decide how to decorate the kids table this Thanksgiving, Toni took care of all of the details with these fun Thanksgiving kids table printables. There are decorations and activities to keep the kids busy until dinner is served and most of all they are C-U-T-E! You can download these free Thanksgiving kids table pritnables over at Design Dazzle.